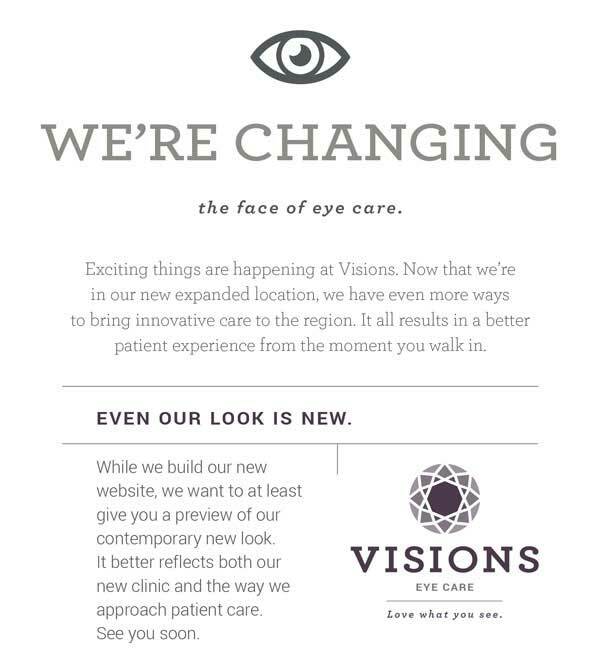 The Visions team welcomes Kristin Wittmayer! 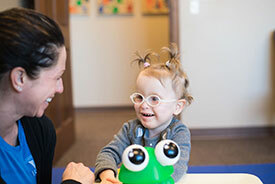 Kristin, a licensed, pediatric occupational therapist, has joined Visions at the Vision Therapy Center at 6144 S. Lyncrest Avenue, Sioux Falls. 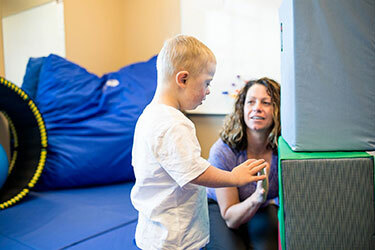 Kristin is a prominent pediatric occupational therapist in Sioux Falls and has extensive OT experience in addition to many certifications, special studies and areas of interest. We are very excited that she is joining our practice! Her passion for the well-being of every child she serves is self-evident! She is well known for her specialty experience in Sensory Processing Disorders. 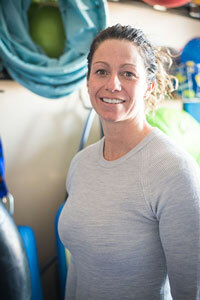 More information on her training and specialties can be found here: Meet Kristin Wittmayer >>. Pediatric occupational therapy focuses on helping children develop the skills they need to grow into functional, independent adults. Physical impairment, impaired sensory processing, injuries and a host of other issues can hamper a child’s ability to perform common tasks or progress normally through the stages of social or cognitive development. The longer a child goes without learning these skills, the more the problem compounds as the child ages—which makes the skills of a pediatric occupational therapist critical to their patients. 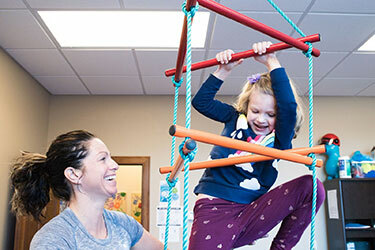 When working with children, pediatric occupational therapists often incorporate play into practice as a way of motivating them and reducing any anxiety or fears they might feel toward therapy. Play can involve games, toys, puzzles, songs or physical activities. 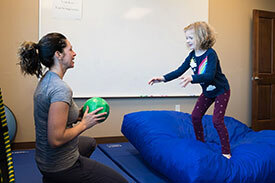 In all cases, the goal of pediatric occupational therapy is not only to help children adequately progress but to challenge them appropriately at the “just- right” level, helping to build self-esteem and confidence when it comes to their capabilities and aptitude. Schedule an evaluation with Kristin today, by calling our office at 605.271.7100. A referral is not needed in order to schedule an evaluation. Can My Child Benefit from Occupational Therapy (OT)? Can your child benefit from occupational therapy? Does your child have difficulty with, or do you have concerns for your child in the following areas? Kristin will be attending mentorship training at the STAR Center in Denver, CO, in the summer of 2018 to continue to update and expand her knowledge in the treatment of children with sensory processing disorders. Other notable course completions and certifications can be found below. Evidence-based treatment program for children on the autism spectrum, focusing on the Developmental and Individual differences of children and is Relationship based. Assists with improving concentration and focus, memory, academics, physical coordination, relationships, self-responsibility, organization skills, and attitude. Beneficial for assisting individuals with anxiety and pain related disorders. Built on five foundational components including strength, stillness in body and mind, community, listening, and grounding and incorporating yoga-based movement in combination with social-emotional related activities. Treatment technique appropriate for children (>6 years) as well as adults with chronic tics, combining habit reversal and relaxation training. The iLs is a device that assists with providing multisensory input in combination with regular treatment for sensory processing disorder and learning difficulties. This infant handling technique assists with motor skill acquisition through facilitation of functional movement patterns for those with muscle tone abnormalities. If you would like more information or have any questions about any of the above listed programs or to schedule an occupational therapy evaluation, please call (605) 271-7100.